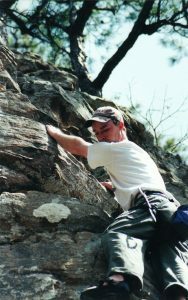 The idea of Climb Iowa started sometime around 2005 as Diane Bridgewater was watching her daughter compete in climbing competitions around the United States. As the months went on, Diane started to create friendships with parents from all around the Midwest and quickly realized something was different in this unique culture. The noticeable difference between most traditional youth sports and climbing competitions was the parents and even the fellow competitors were incredibly supportive of each and every climber. It wasn’t so much about competition; it was more about community. The thought of Des Moines and indoor climbing became a nagging thought in her head over the next few years. Des Moines seemed like the perfect community for a climbing gym, but how do you educate people that had never set foot on a climbing wall of all the different benefits climbing has to offer? 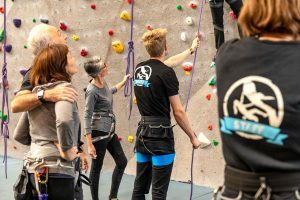 Des Moines seemed like the perfect community for a climbing gym, but how do you educate people that had never set foot on a climbing wall of all the different benefits climbing has to offer? Finance is Diane’s specialty, so she began working on projections, expenses, debits and credits to figure out if this venture would even work. She sought the help of her husband who is in the construction business. They perfected the business plan that had swelled to over 200 pages. It turns out when you ask a bank for a climbing gym loan in 2007, you need to explain every last detail. Luckily they were working with a fantastic community bank right down the street. At this point Climb Iowa consisted of a finance expert and a building expert, but it lacked one key position: a climbing gym manager. On a Monday afternoon in July 2007, these two prospective gym owners took a day off from work and travelled to a climbing gym in Kansas City. One of the relationships Diane had fostered was with the operations manager at a climbing gym in Kansas City. During this meeting they were only gathering information on how to run a successful, community orientated gym, but they later realized they had found much more, a gym manager. Upon hiring the gym manager from Kansas City, Aaron Stevens, the team began to develop the finishing touches on Des Moines’ newest activity. The most important element was the community of employees. If Climb Iowa was to be successful, it would depend on this group of hard-working, climbing enthusiasts, that desired something special for their potential customers. Climb Iowa has only two original employees still involved from 2008, both originating from that Kansas City climbing gym: Aaron Stevens and Matthew Creason. The doors to Climb Iowa officially opened for business on November 10, 2008 with 10,000 square feet of climbing terrain. The Des Moines community struggled to support the climbing gym for the first two years. Was it a suspect business plan, or the fact that opening a climbing gym during the worst economic times since the great depression? That first year, Climb Iowa averaged just 52 visitors per day. Today, more than 200 people of all ages visit Climb Iowa every day. 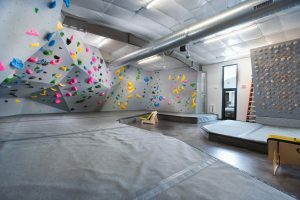 Our newest edition in the East Village, a bouldering only gym with 3,000 square feet of climbing and 1,000 square feet of training space. Climb Iowa will see some amazing changes. The Grimes location expects to see more than 200 visitors per day. 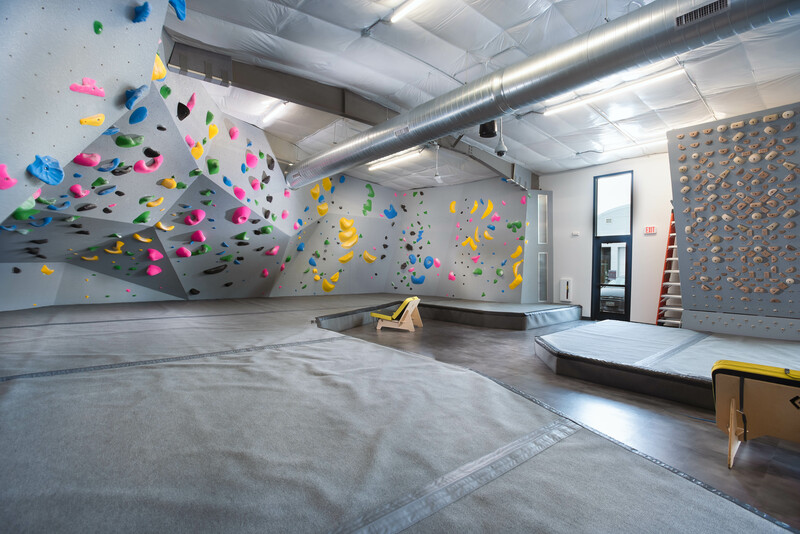 The Climb Iowa brand has expanded to the East Village with a 3,000 square foot bouldering gym. We think it’s safe to say the Des Moines metro has an amazing climbing community. Rock on Des Moines…..Climb Iowa belongs to you and its climbers!! !